This recipe to me just screams “Made in the South!” For all of you Georgians you know that the peaches this year are beautiful. I got the biggest bag of them the other day for a great price. They are really juicy! I have no problem just eating fruit. I always here others say, ” I just got a big bunch of ____. What should I make with them?” I can just sit down and eat fruit. I don’t have to have a special recipe. It disappears all on its own. This time I thought I would make a special treat for breakfast, although they were so good I ate two right out of the oven! 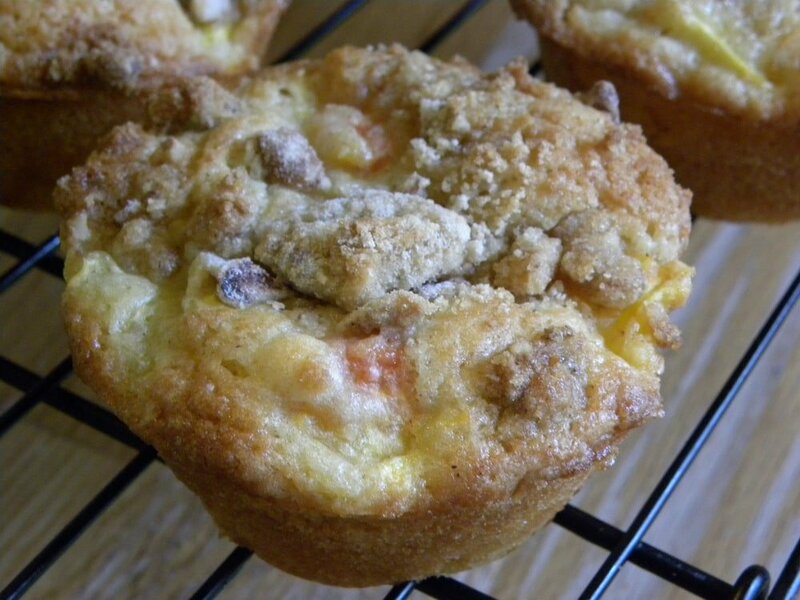 These would be perfect for an easy, yet delicious Father’s Day Breakfast! My daughter said they were good enough to be dessert. That is true! Heat one up with some whip cream on top, or some ice cream! It would truly be a treat! 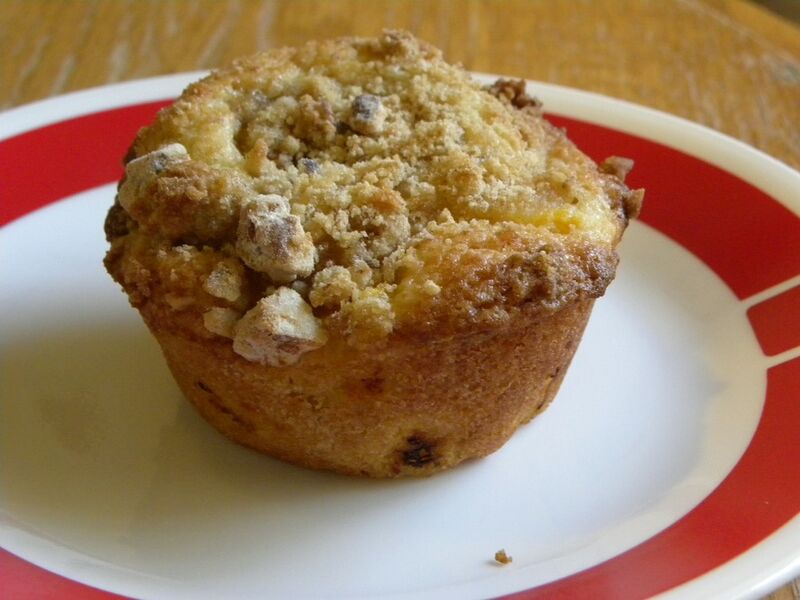 These muffins taste just like Peach Cobbler! Either way they would be delicious with some Homemade Iced Coffee! 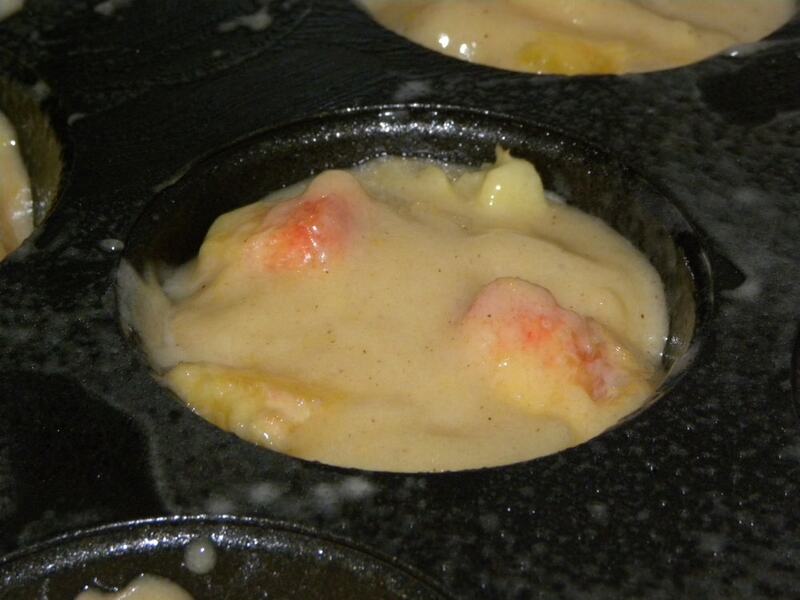 Preheat oven to 375 degrees F. Lightly grease 16-18 muffin cups. 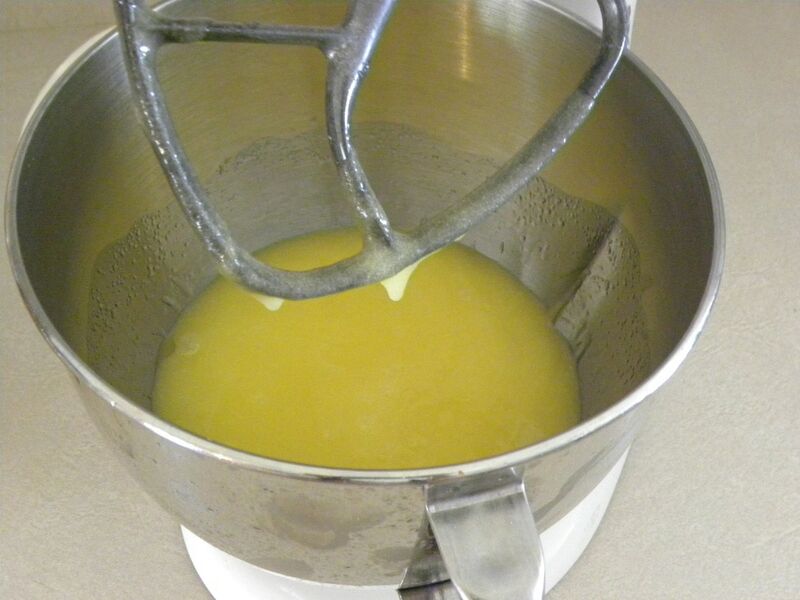 In the mixer, mix the oil, eggs, and sugar. 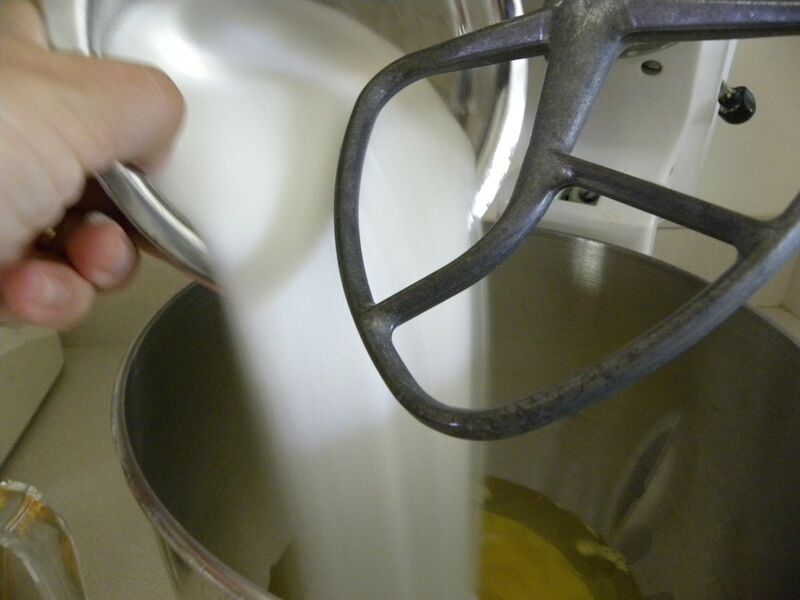 In a large bowl, mix the flour, cinnamon, baking soda, and salt. 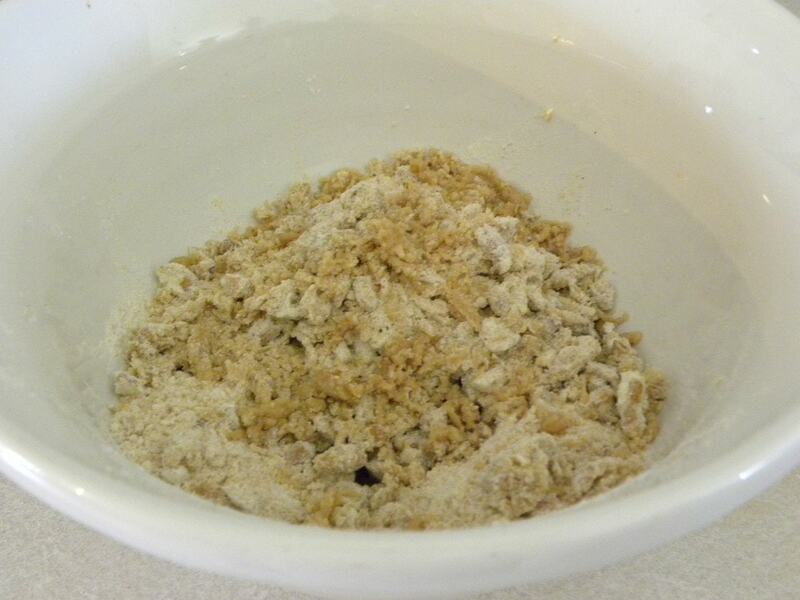 Add the flour to the oil mix until well incorporated. 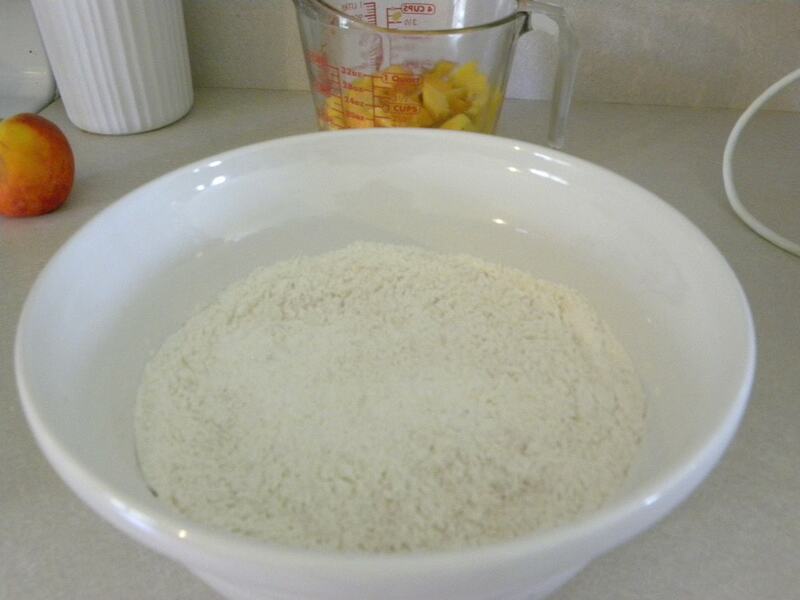 Bake 20-25 minutes in the preheated oven, until a toothpick inserted in the center of a muffin comes out clean. The yummy moist delicious insides! 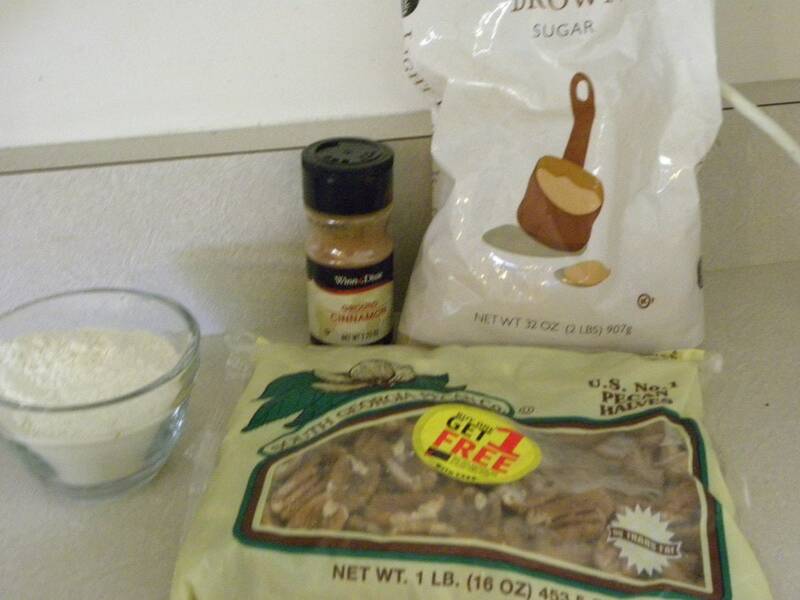 Mix together all of the above ingredients. Fingers work best. Sprinkle a TBSP on top of each muffin before you bake! Want more Breakfast recipes? I have several! Thank you. We live right near a peach orchard that sells Georgia peaches, I live in TN. They are so good and so juicy, the best peaches I have ever had. I tried carolina peaches and I don’t like them. We have company coming next weekend, I am going to make these for them!!! Thank you!!! Can’t wait for peaches this year. 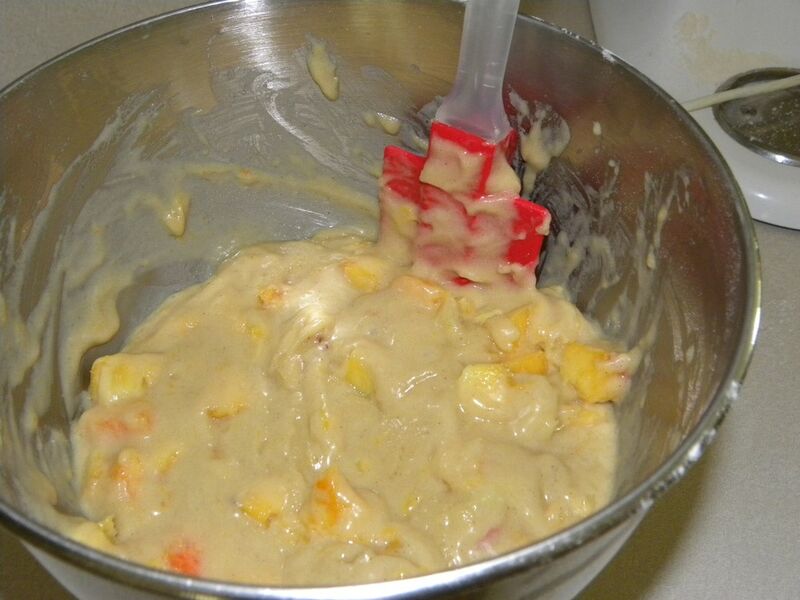 I just printed out your recipe and will save it til the peaches are ripe! Thanks. Look so yummy! 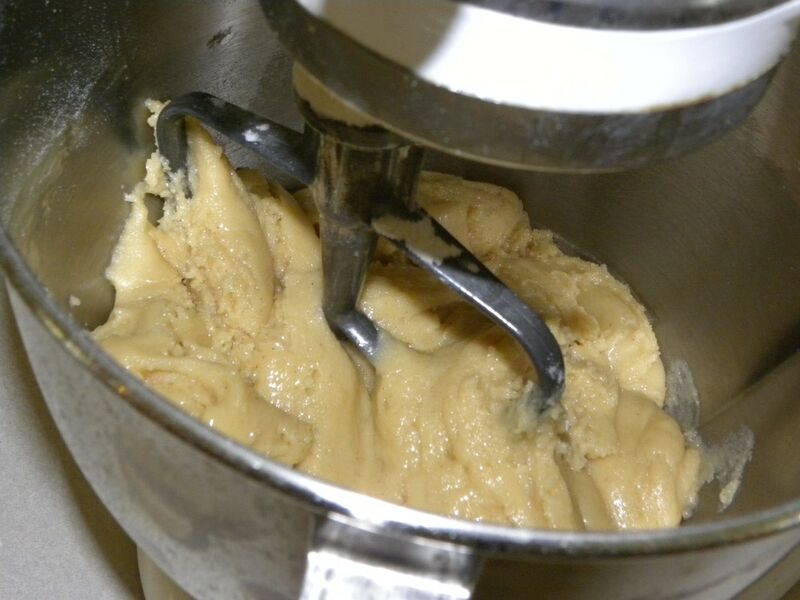 Is there a way to print this recipe real quick without the pictures. 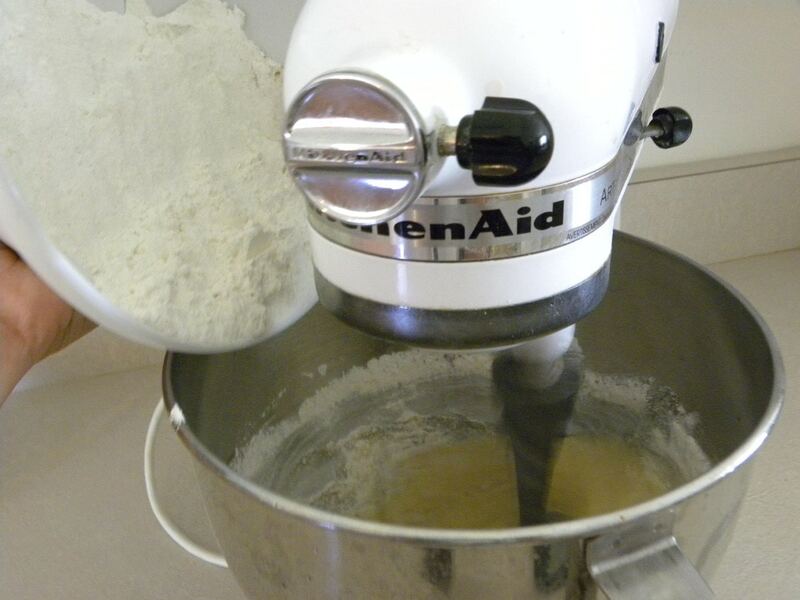 I just want one page to look at while I’m making these yummy looking muffins! These look yummy, but unfortunately I’m on Weight Watchers! I entered the recipe and it said EACH muffin was 7 points!! Holy crap that’s alot! It must be very delicious then! I don’t think I could make these for the family without sneaking one myself! I’ll save it and try it when I lose some more weight! Thank you! These look wonderful and I will be making them this weekend! 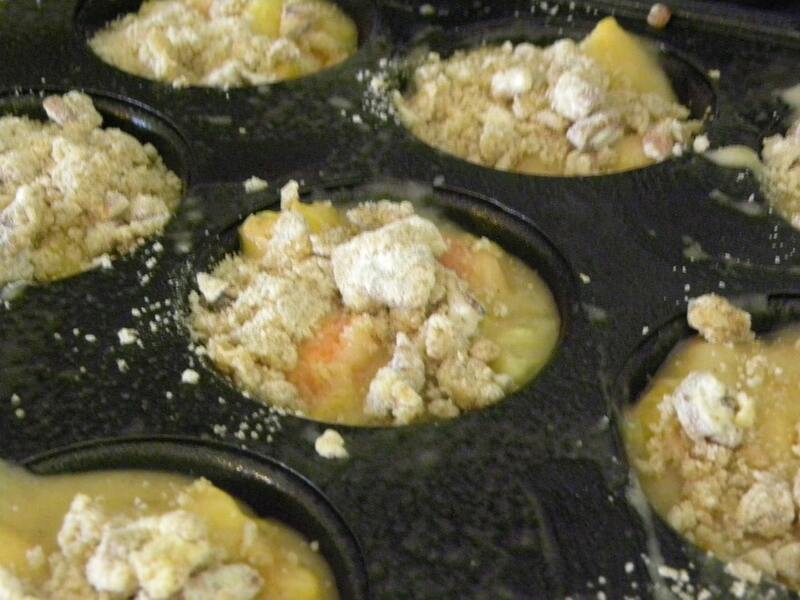 Those peach muffins look delicious–a yummy way to use peaches! this looks so yummy! thank you so much for linking up at Sew Fun! i hope to try this out this weekend..will let you know how it turns out! I made these last night. I got 2 dozen muffins out of the recipe so I sent a dozen over to the neighbors house for testing. They were a huge hit. 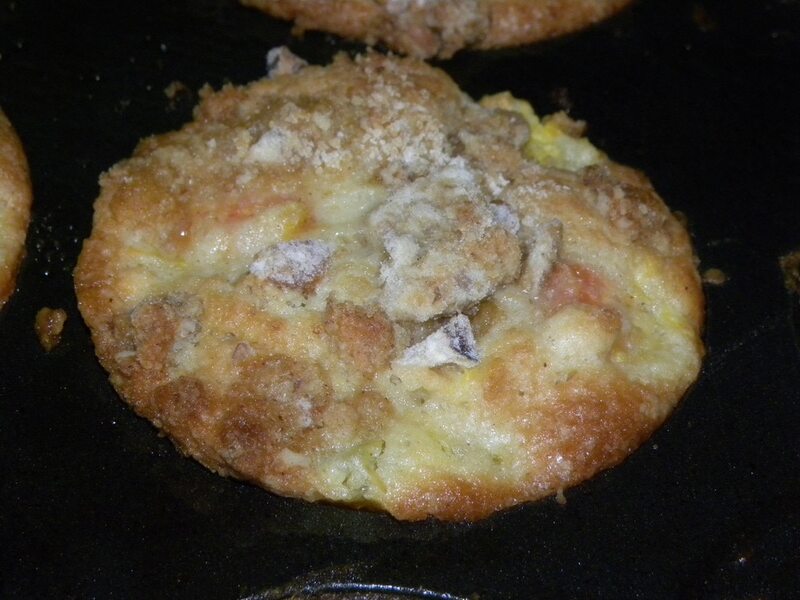 To quote, they thought the muffins were “amazing” and wanted the recipe. Thank you so much, this recipe is headed straight to the family favorites box. Oh my! Those look delicious! 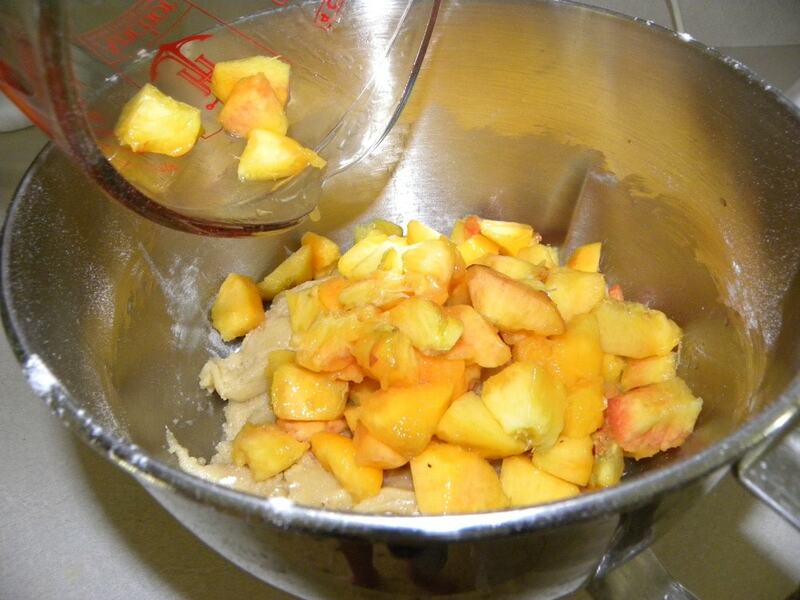 I bought some peaches at Aldi’s the other day, planning to make a cobbler, but I just might have to change my plan. I just put these in the oven with some changes… used whole wheat pastry flour, 1 cup sugar in the raw instead of 2 cups white sugar , 1 cup of oil instead of 1 and 1/4 cup. 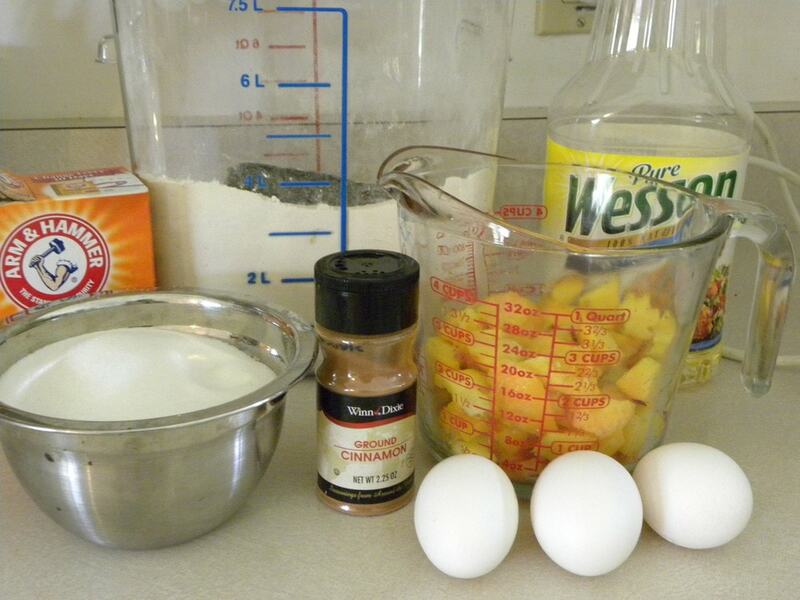 I also only had canned peaches on hand but I am hoping this will come out delish! they are smelling good!! 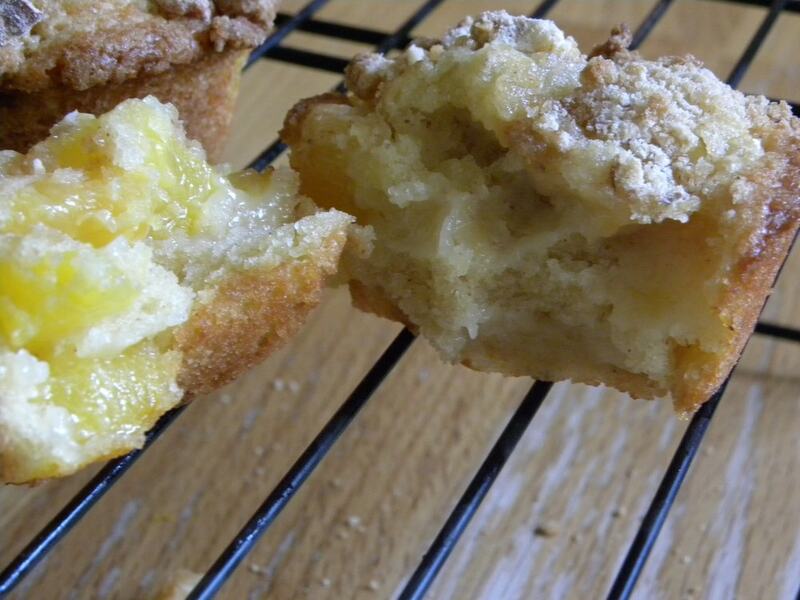 I made these 2 days ago and they lasted about 10 minutes before they were gobbled up! Absolutely delicious. We picked a lot of peaches this year, and I had frozen so many–this is the perfect recipe to use them for! I don’t even like peach cobbler, but these were awesome! I will say that I got 15 muffins instead of 12, and they were GIANT when they cooked, so next time I won’t fill the muffin tins so full. They have a lot of calories, so i think I might experiment with some splenda and less oil next time, just to help out the diet plan! Thanks so much!